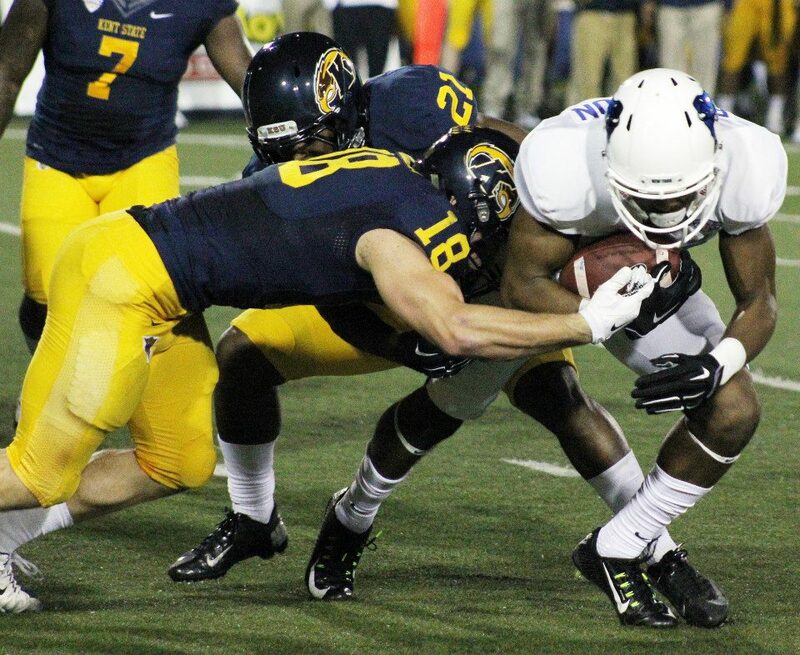 Joe Licata hit Matt Weiser for an 8-yard touchdown pass with 58 seconds left to cap a miraculous comeback and give the University at Buffalo, the State University of New York football team an 18-17 win over Kent State at Dix Stadium on Thursday night. The Bulls erased an 11-point fourth-quarter deficit to earn their third straight win. UB is now 5-4 overall and 3-2 in the Mid-American Conference.